New York, June 22 (IANS) Three men who allegedly wanted to “smash an Indian” have been arrested and charged in connection with the killing of an Indian man in South Carolina in March, which sent shockwaves across the Indian community in the US. 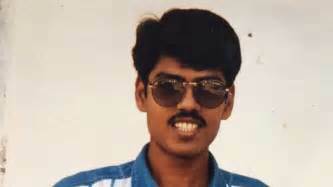 Harnish Patel was shot dead outside his home in Lancaster on March 2, barely 10 days after the killing of an Indian engineer in Kansas state. The men arrested earlier this month have so far been charged only with conspiracy to commit robbery and not directly with the killing of Patel, as the investigations proceed, The Herald, a local newspaper based in Rock Hill, reported on Wednesday. The newspaper said Jaquinton Tradell Blair, LaJames Arteian Ross and Richard Stewart “had roles in the robbery and conspiracy” according to arrest warrants released by police on Wednesday. It is customary for law enforcement officials in the US to initially charge suspects with a lower crime and arrest them, while investigations continue to build a strong case required for conviction on a more serious charge. WSCO reported that Blair was arrested on June 6 and Stewart and Ross on June 8. But the arrests and the charges were officially made public only on Wednesday. Earlier, officials had reported difficulties in getting witnesses to the crime or anyone with knowledge of it to reach out the authorities. The three arrested men appear to be African Americans in photos released by local law enforcement. But the newspaper reported that Doug Barfield, the spokesperson for the Lancaster County Sheriff’s Office, refused to discuss the motive for the crime, and said he was not aware of any hate crime investigation by federal authorities. Hate crimes are often prosecuted by federal officials. Patel was shot dead when he returned home after closing his Speedee Mart store located near the Sheriff’s office. Activists have tried to link the attacks on Indians to white supremacists and the election of President Donald Trump. Adam Purinton, who is accused of killing Srinivas Kuchibhotla in Olathe and wounding Alok Madasani and an American Ian Grillot, who came to their defence, while yelling at the Indians, “Get out of my country,” is white and has been charged by the Trump administration in a federal court with a hate crime. However, the men charged in connection with Patel’s killing appear to be from the African American community that is overwhelmingly Democrat.